Book an Event on Percy Priest Lake with Nashville FlyBoard, and get Discounted Boat Rentals at Elm Hill Marina! Discounts available on all Double Decker Pontoon boats. 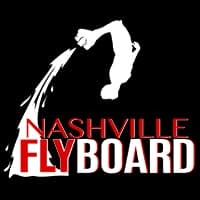 Nashville FlyBoard is now accepting bookings from May 1st – October 15. Available for any event including Bachelor Parties, Birthdays, or Just for Fun Parties. If you’re already renting a pontoon boat from Elm Hill Marina, get a discount on your group Flyboard® rental! We’ll help you plan your event on the lake, and make sure everything is smooth sailing. Contact us for group rates. Now ages 13 and up!